M88 - Click to view larger image. Opens in a new window. 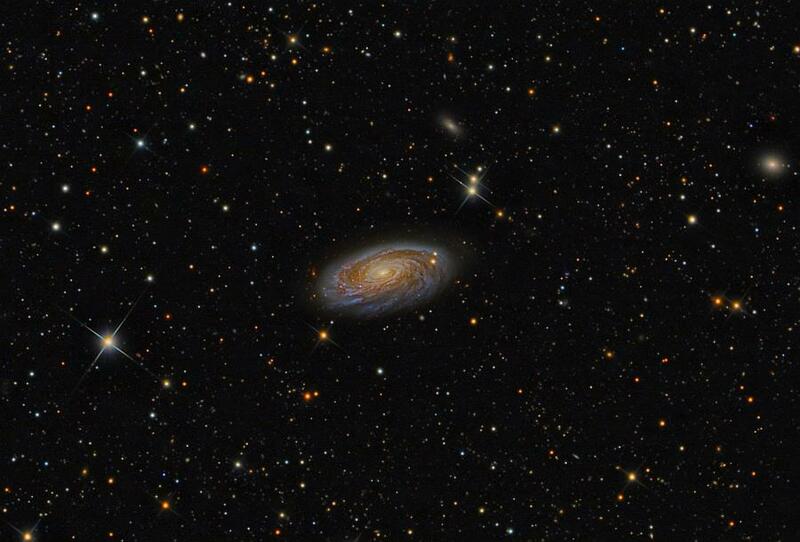 According to Wikipedia, M88 is one of 15 Messier objects listed in the Virgo Cluster of galaxies. It lies between 50-60 million light-years away, and while it is part of the Virgo Galaxy cluster, it is actually located in the constellation Coma Berenices (go figure). M88 is classified as an Sbc spiral, which is between the Sb and Sc categories of medium-wound and loosely wound spiral arms, respectively. The last supernova recorded in this galaxy was back in 1999.